I’m the first man to admit that being nice and being weak aren’t the same thing. When women are younger I can see how they confuse the two but there’s not really an excuse for it as they get older. This is a known and something I’ve written about several times so I won’t go there tonight. Tonight I want to write about something else. You want to know something I will never understand despite my intelligence and slight arrogance. 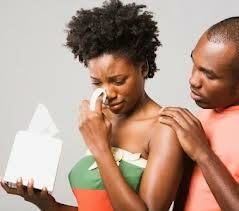 How can women deal with men that cheat, lie, are emotionally or in some cases physically abusive? How can women accept disrespect and disinterest for years in some cases from men that are just bad guys? How can they accept this and forgive them time after time but yet some men can’t so much as make a slight mistake and he’s dismissed? It’s like the higher you set the standard, the less room you have to screw up. Does that make much sense? This last couple years I’ve personally dealt with so many women that get so dismissive or upset over the smallest things I do. Just so we’re clear, some have been romantic situations but most are strictly plutonic. Women that have gotten married and kept ex-boyfriends has friends but erased me. Women that I helped stand up after rock bottom but because I didn’t call for a week or said no they lost their mind. Long nights talking about men that stole money, slept with their friends, didn’t take care of children, broke promises… Men they forgave easily but I didn’t deserve that same forgiveness? You have to understand, I can deal with a woman not being interested, that happens to the best of us. It’s the other side of the coin that sort of takes a little bit out of me each time it happens. With each time I feel myself becoming just a tad bit colder. I feel myself becoming a tad bit more annoyed. I’m a good listener, a good friend, not because I want to in most cases but because I know how it feels to feel like there’s no one to talk to, I know how it feels to simply want to vent. The way I’m starting to feel I’m just not sure anymore. I could have really used a friend today and instead I have my writing and my music, it’s a cold world right? It’s because we accept the love we think we deserve. You’ve read my blog with that exact title. I think the person we date is often a reflection of what we think of ourselves.